Running – currently downloading tasks. Suspended – paused tasks and tasks those are waiting for their turn. Complete – successfully finished tasks. Incomplete – running and suspended tasks combined. Waiting – tasks scheduled to start at specified time. Complete – successfully finished tasks which were once scheduled. You can create your own filter. 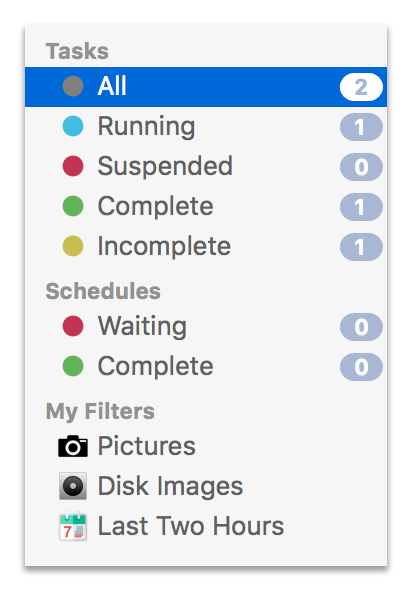 It can be either display filter or sorting one. time and date when task was added or finished. Sorting filters allow to automatically set default location for selected types of files. You can read more on the feature here. This list can be changed by a right-click on the list header. Note that double click between column header cells resizes left column to fit all text in it. Threads – all currently established connections with ability to control their count (hidden for completed tasks). Mirrors – list of known alternative sources. You can lock one of them if you prefer to use just one source to download from. Speed – set maximum download speed of the selected task (hidden for completed tasks). 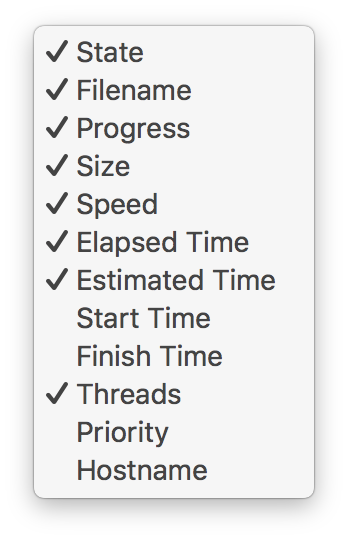 Priority – set it to high if you wish the task to start downloading earlier than the others (it makes sense with waiting tasks only). 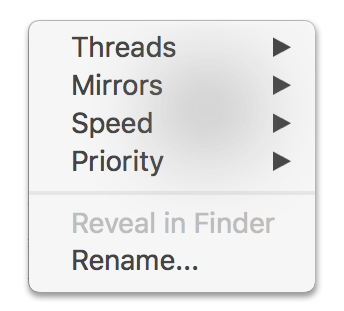 Reveal in Finder – show downloaded file in your default file manager. Rename – change name of result file.